Selective lighting is an Ingredient that helps images succeed, reducing the need for strong composition. 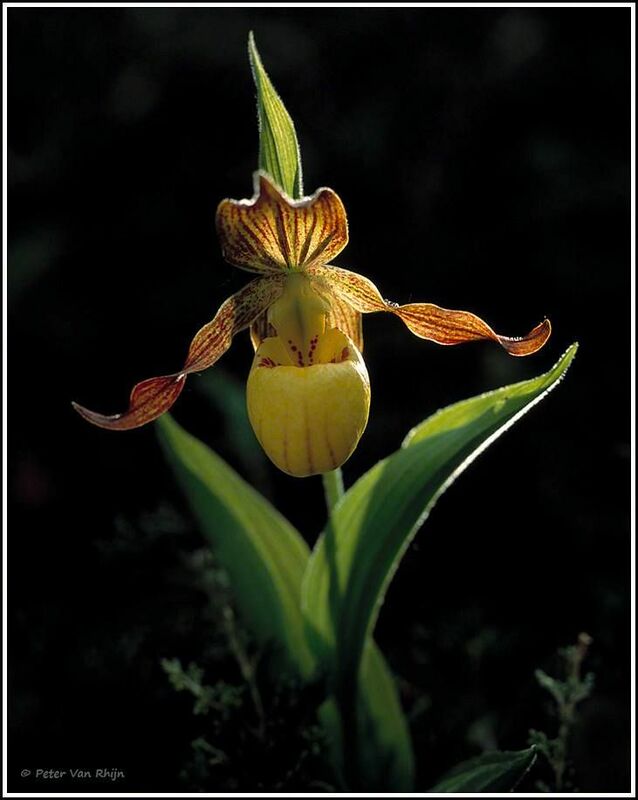 This is an older image which dates back to my "orchid phase" - a yellow lady slipper. It was made with a heavy duty halogen light plus blue gel to achieve daylight balance. I used a motorcycle battery to power it. Today this would be very easy to duplicate with a FENIX LED spotlight. These are much smaller, lighter, and more powerful. Use some epoxy to stick a female tripod mount onto one of them and with a tiny tabletop tripod you can aim the light very precisely. The strength of the light can be varied with the distance of the spot and/or the position of a little reflector. Mamiya RZ 67 127 mm lens.